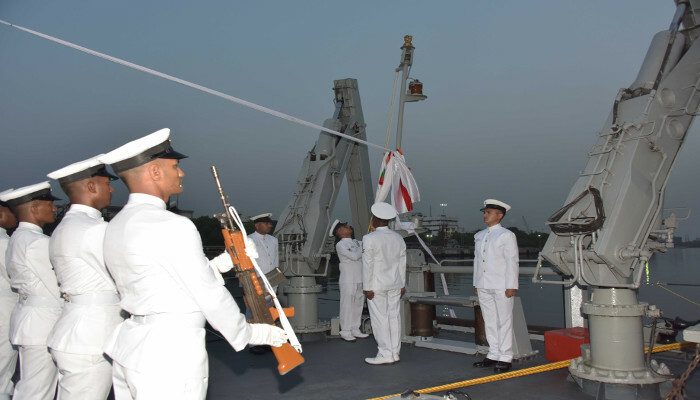 Indian Naval Ship Kozhikode was decommissioned in a solemn yet grand ceremony conducted at Naval Jetty Visakhapatnam on 13 April 2019. Vice Admiral S N Ghormade, AVSM, NM Chief of Staff, Eastern Naval Command was the chief guest for the occasion. As the sun slowly set in the distant horizon, the ship gracefully ‘retired’ as operational ship after three decades of glorious service in the Indian Navy. 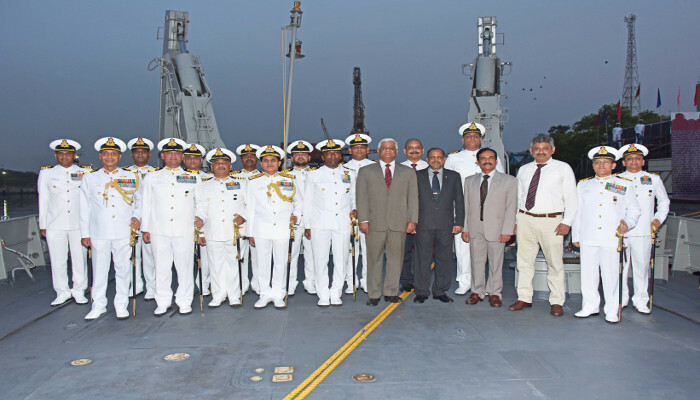 Commodore Samir Advani (Retd) commissioning Commanding Officer was the Guest of Honour for the decommissioning ceremony which was attended by 16 erstwhile Commanding Officers, Officers and sailors who have served on board the ship. 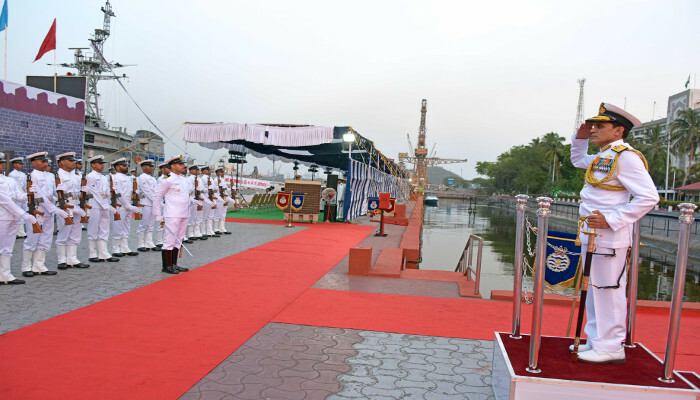 Captain P Sasidharan (Retd), commissioning Executive Officer, Commander Afzal Khan, commissioning Navigating Officer, Commander VK Sharma (Retd) commissioning Engineering Officer and Mrs Madhavi Sani, wife of late Cdr Nadeem Sani commissioning Gunnery Officer of the ship, also graced the occasion. Vice Admiral Ghormade paid tribute to the crew of the ship and highlighted the contributions of the ship to the country’s maritime security and her participation in various operations ranging over three decades. It was a poignant moment for those witnessing the ensign of the warship being lowered for the last time, as the ceremonial guard on board, gave the vessel a final salute as a tribute to three decades of glorious service rendered by the ship. As part of the decommissioning ceremony, a Barakhana for retired and serving sailors and their families was held in the afternoon and was followed by a reception on 12 April 2019. INS Kozhikode, commissioned on 19 December 1988 at Riga (erstwhile USSR) was the sixth and the last of the modified NATYA class of minesweeper. 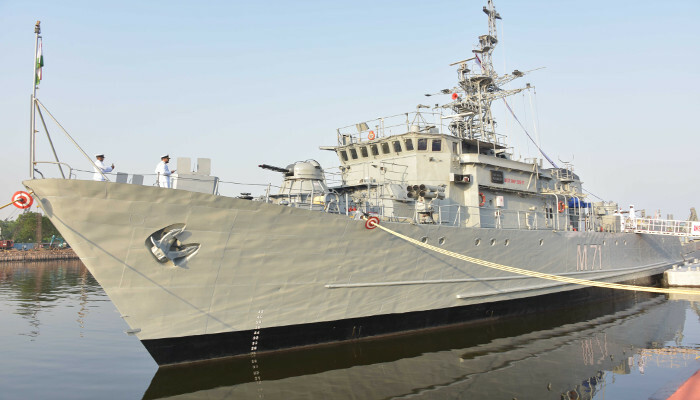 Named after the historic port of Calicut, which was also the epitome in India’s maritime history, the ship was an integral part of the 21 Mine Counter Measures Squadron, based under Eastern Naval Command at Visakhapatnam.